In the 2019 Editors’ Choice Awards from Car & Driver Magazine, a total of eleven Honda vehicles received awards in their respective segments. Out of the roughly 450 models of vehicle available on the market today, the editors at Car & Driver Magazine have selected models they would wholeheartedly recommend to buyers shopping in each category. Several factors are involved in selecting vehicles for the Editors’ Choice Awards. First, winners of the Car & Driver 10Best Cars and 10Best Trucks and SUVs for 2019 automatically earned their way onto the list. Other vehicles are evaluated based on their performance on the test track, results from the Car & Driver Buyer’s Guide in-depth testing, and general subjective desirability. With the exceptional quality, reliability, style, technology, and safety found on every Honda vehicle, it comes as no surprise that eleven Honda vehicles were named as top choices in their individual segments. 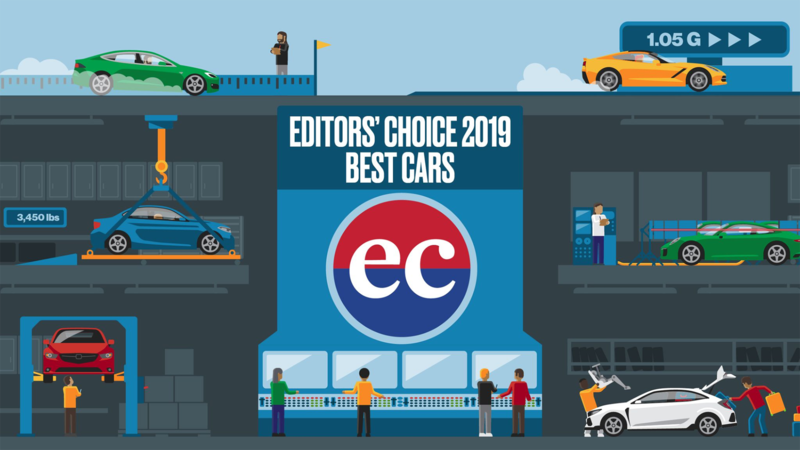 Let’s take a look at the winners named to the 2019 Editors’ Choice Awards from Car & Driver Magazine. The 2019 Honda Accord received its Editors’ Choice award automatically as a result of its 22nd consecutive appearance on Car & Driver’s 10Best Cars list. It was also named as America’s Best Sedan for 2019 by Car & Driver. 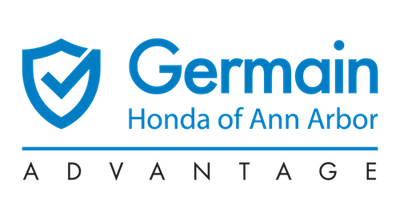 A perennial favorite for over 2 decades, the Accord continues to excel with your choice of a 192-horsepower turbocharged 4-cylinder with CVT transmission or a responsive 252-horsepower turbocharged inline-four paired with a 10-speed automatic. Standard driver-assistive technologies found on the Accord include adaptive cruise control, forward-collision warning, and lane-keeping assist. Named a Car & Driver 10Best winner for 2019, the Honda Civic sedan has automatically been selected as a Car & Driver Editors’ Choice award winner for 2019. The Civic sedan comes with your choice of a 158-horsepower 2.0-liter 4-cylinder or a 174-hp turbocharged 1.5-liter 4-cylinder paired with a six-speed manual or a CVT. Eye-catching style, outstanding versatility, and connected tech features have made the Civic a hit with buyers. Joining the Editors’ Choice Awards list for 2019 is the Honda Civic Coupe. As a recipient of 10Best award from Car & Driver, the Civic Coupe proves that the days of finding a fun-to-drive, efficient, and affordable coupe are far from over. Bold exterior color options highlight the sporty personality of the Civic Coupe. With up to 38 MPG on the highway**, you’ll spend less time at the pump and more time enjoying your daily drive with the Honda Civic Coupe. The 2019 Honda Civic Si sedan was automatically awarded with an Editors’ Choice selection following its appearance on the Car & Driver 2019 10Best list. Delivering 205 turbocharged horsepower and paired with a responsive six-speed manual transmission, the Civic Si provides thrilling performance to match its striking athletic appearance. Standard heated sport seats, power sunroof, and a touchscreen with Apple CarPlay and Android Auto integration help you take on your next adventure with the Honda Civic Si sedan. Just like its sedan sibling, the 2019 Honda Civic Si coupe received an automatic selection for its Editors’ Choice award following its 10Best award from Car & Driver. Nimble handling, 205 turbocharged horsepower, and a striking design help prove that the Civic Si coupe is a force to be reckoned with. Adaptive dampers, sportier steering, and enlarged brakes combine to provide an invigorating driving experience. Earning a spot on the 2019 Car & Driver 10Best Cars list, the Honda Civic Type R received an automatic selection for the Editors’ Choice award. The Type R comes standard with a 306-horsepower turbocharged 2.0-liter engine for blistering performance. A specially-tuned Center-Exit Triple Exhaust system provides a throaty growl for the perfect soundtrack as you rocket down the straightaway. Thrilling driving dynamics, responsive handling, and aggressive looks help make the Civic Type R a favorite among driving enthusiasts. Blending the sleek styling of the Civic sedan and coupe with the versatility of a hatchback, the Civic hatchback has plenty to offer. Available interior amenities include leather-trimmed appointments, Dual-Zone Climate Control, and smartphone integration. With up to 180-horsepower from its turbocharged 1.5-liter engine, you’ll be able to experience responsive power combined with exceptional efficiency. As the compact crossover/SUV segment continues to explode in popularity, the 2019 Honda CR-V stands above the competition. The editors at Car & Driver named the CR-V and Editors’ Choice for its outstanding reliability, innovative versatility, and available all-wheel drive capability. CR-V drivers will have their choice of a 184-horsepower 2.4-liter 4-cylinder or a 190-horsepower turbocharged 1.5-liter 4-cylinder paired with a CVT. Efficiency has never been more stylish thanks to the striking 2019 Honda Accord Hybrid. Joining the Editors’ Choice by Car & Driver, the Accord Hybrid stands above the competition with a 48 MPG** combined fuel economy rating. Premium interior appointments, connected tech features, and groundbreaking safety innovations prove that the Accord Hybrid is far from your average hybrid midsize sedan. The 2019 Honda Odyssey has firmly established itself as a family-favorite thanks to refined ride quality, easily-configurable interior, and cutting-edge technology. You’ll have plenty of power thanks to a standard 280-horsepower 3.5-liter V-6 paired with an advanced 9-speed automatic transmission. Standard automated emergency braking and lane-keeping assist provide added peace of mind and confidence behind the wheel. The 2019 Honda Ridgeline has the honor of being the only vehicle of any brand chosen in the mid-size pickup truck category in the 2019 Car & Driver Editors’ Choice Awards. Designed to simplify both work and play, smart innovations found on the Ridgeline include a Dual-Action Tailgate, In-Bed Trunk, Truck-Bed Audio System, and Extra-Versatile Seating. The available Intelligent Variable Torque Management (i-VTM4TM) AWD system and standard 280-horsepower 3.5-liter i-VTEC® V6 engine lets you tackle even the roughest terrain. *MSRP includes $920.00 or $1,045.00 destination charge, but excludes tax, license, registration, and options. Dealer prices may vary. **Use for comparison purposes only. Based on 2019 EPA mileage ratings. Your mileage will vary depending on how you drive and maintain your vehicle, driving conditions and other factors.